If you understand clearly the value of delicious foods which are good for health, you will not be more satisfied when looking at your babies to discovery joys of eating. But how to train a kid to prefer fruits to chips, and never ignore cauliflower and salmon? The short answer is: let start from now! No research says that we have to let babies have tedious diets. Once your kids are familiar with bland foods, add herbs which have light smell and spices into their foods. Grind coriander with avocado, nutmeg with sweet potato, or cinnamon with apple. Ability of creating purée is infinite. Toddles may like a little spicy. After the first birthday of your children, you can begin feeding them most of the foods which your family usually eats, including red Thai curry. Once your kids are familiar with bland foods, add herbs which have light smell. Give your children an avocado and say “avocado”. Your babies, together with you, is learning and using signs, remember not to miss subject on foods. Naming foods and giving them signs will help kids early to recognize these foods. Kids often love things they can identify. When your babies grow a little, play game “Where is avocado?” If you ask them “Where’s your nose?” or “Where are your ears?” they will be learnt about these things; so do foods. You can let them go to the market, plant a garden, see food pictures. A recent research funds that toddlers will be more eager to try strange fruits than after hearing their parents to read books containing these fruits. If you used to feel to have fault when allowing your babies to come near stove when you were taking dinner, listen: that could help your children eat better. They will feel link between you and foods; they can smell fried garlic, boiling soup, which helps to establish familiarity with foods. Let allow them to take part in cooking early. You can let your 6-month-old baby sit on baby chair safely at positions where are safe and easy to observe while you make foods for it (be sure that all knives have to keep in another place). 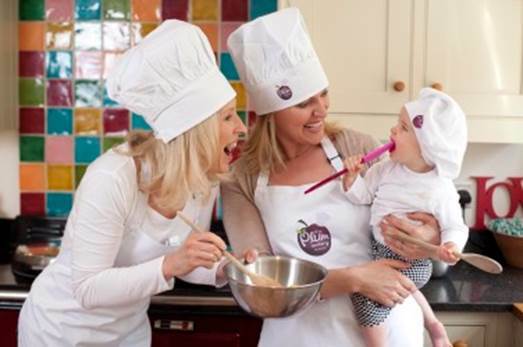 In 18 months old, many kids can help to spoon foods, or stir ingredients in bowl. 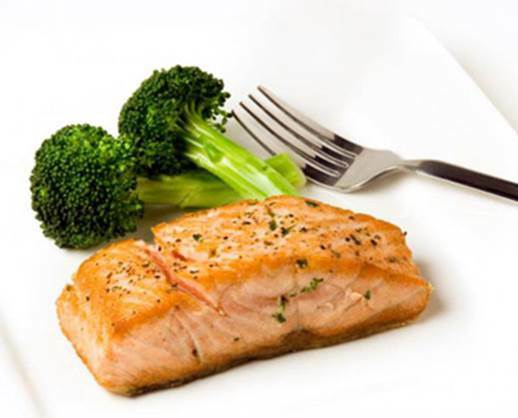 It is the source of protein and fat acid omega-3 which are very good for the development of baby’s brain. Get acquainted: Purée with small fish which contains low level of mercury, such as Pollock (you can replace it by another fish that is popular at your place), and a kind of familiar vegetable as beans. Another choice is salmon and carrot. Cook a delicious purée including 75% of vegetable and 25% of fish. Bigger bite: Cut Pollock or salmon into “stick”, cover breadcrumbs and grill. 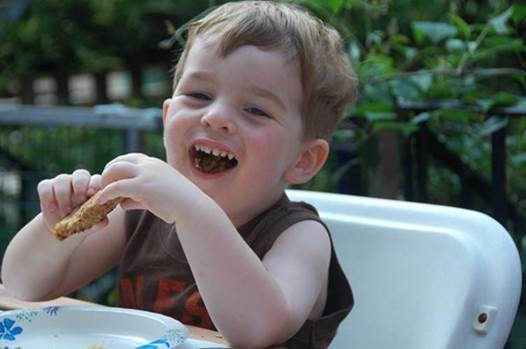 Fish sticks are delicious, exciting, and obviously very good for health. It provides cellulose, protein, and iron which is an important nutrient for newborn babies and children. Get acquainted: Grind beans with soft rice; these foods provide perfectly protein and all of essential amino acid with enough content. Bigger bite: Make this mixture is rougher and rougher when kids are familiar with it. It supplies lots of nutrients including beta carotene (significant for healthy development of immune system) and folate (a kind of vitamin B supporting for healthy development of new cells). Get acquainted: Mix cauliflower with spinach, carrot, asparagus or green beans to make more delicious and finer purée. Bigger bite: Steam green cauliflower, green beans or asparagus, add a little butter or garlic to have more flavored.